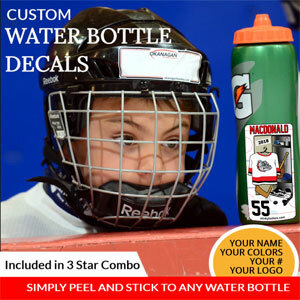 Your team manager would like to know if you would like to order the 3 Star Combo for your player. 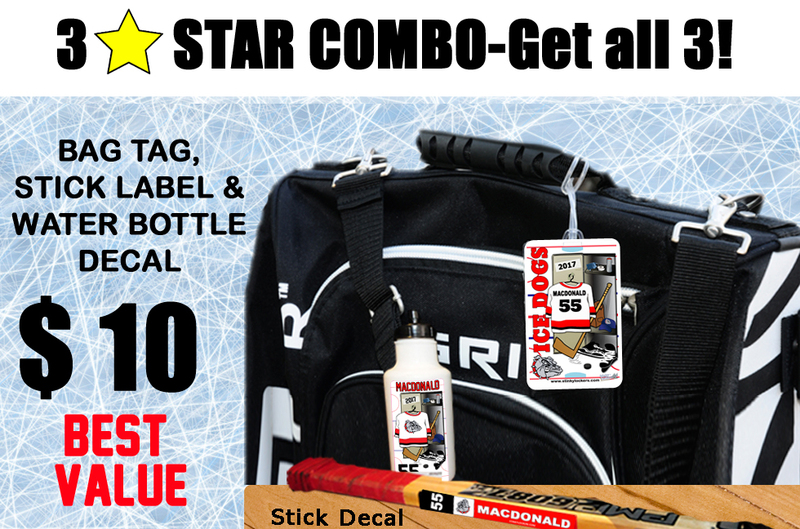 The 3 Star Combo, as shown below includes 1 Personalized Stick Label, 1 Custom Bag Tag & 1 Personalized Water Bottle Decal. 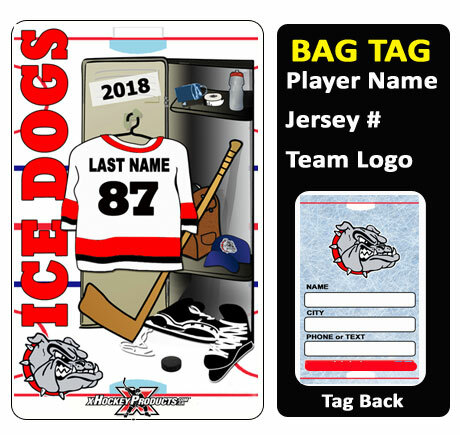 Each item will feature your team logo, your players name, number and your team colors. The price is only $ 10! Please let your team manager know if you would like to order. Have your kids ever left at stick on the bench or in the dressing room? Forget your water bottle and went back to the rink to find it gone? Have you ever ran to the dressing room to grab their neck guard and you don't know who's bag is who's? We have the solution. 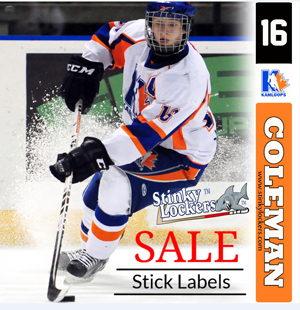 Get the 3 Star Combo from Stinky Lockers and get all 3 for only $ 10. Looking for a tournament player gift? Let us give you a tournament quote! From as only *$ 3.95.